I found this publication easy to read, with excellent content relevant to clinical practice. It has a nursing focus and would be of value to all nurses working with cancer patients. 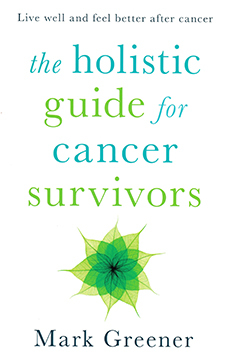 I would particularly recommend it to nurses new to the specialty as it explains the cancer journey and beyond in an easy-to-understand format. It would encourage all nurses involved in the delivery of anti-cancer treatments to gain an understanding of the possible long-term impact of therapies physically, socially, emotionally and psychologically. This would assist them in the education of patients and their families on how long-term consequences of treatment can be minimised and to best support patients and their families. The book reminds readers that cancer treatments involve partnerships between patients, families, other health care professionals and agencies outside the NHS. The content of the publication does not provide any new information. However, the format makes it easy to understand and it flows well. It is educational and thought-provoking for nurses in this field. I personally would purchase this publication and recommend it be available in libraries. I also found the inclusion of useful addresses helpful.